Looking for a Photographer In St Louis? Hello! For those just randomly finding this blog post, who have yet to visit my website, my name is Krista. I am a photographer in St Louis, I specialize in newborn portraits. I want to dive into something I have been asked more than a few times! The big question most mom's and dad's have when it is time to select the right newborn photographer is: How do I know which photographer to choose? Choosing A Photographer Just Got Easier! This is not a question with a clear cut answer. For starters, you are entrusting a complete stranger with your most precious new bundle. Which is the main reason this decision should be taken seriously. The most obvious concern is safety, but you also have to think about several other factors. The short time frame in which newborn portraits can be completed, what your needs are for the session, your plans for the images that are created, and finally price. I am going to delve a little deeper into each of these points below! I am putting safety first because safety should ALWAYS be first. Nothing is more important or should hold more weight than safety when it comes to newborn photography. It is unfortunate to note that there is NOT an accrediting body to oversee newborn photographers. There are no professional standards for safety. No one is out there monitoring which photographers are taking the initiative to learn and practice newborn safety. If the photographer you are currently considering hiring does not possess any sort of formal newborn training, cross them off your list. I understand everyone starts somewhere. With newborn photography, "somewhere" should be a course on safety. Look for someone who values and takes safety seriously, someone that can be entrusted with your brand new baby. Newborns are precious and fragile and they can not speak up when something is wrong. Instead their breathing patterns change or their skin turns colors. They might start making particular movements, sounds, or cries. Sometimes a lethargic baby could be mistaken for a baby that is sleeping soundly. It is important that the person handling and posing your baby understands the warning signs associated with distress. Your photographer should be aware of materials and types of props that should never be used with a newborn. Newborn Photographers should know how to correctly and safely pose baby at all times. Photographers working with newborns should have procedures in place for cleaning, sanitizing, and minimizing germ exposure. There is so much more that goes into newborn safety training. These are some of the key points that are covered in most training programs offered. There is NO accrediting body, anyone can call themselves a newborn photographer. You will have to ask questions and probe to find out just how "professional" your chosen photographer is. Whether you are searching for a photographer in St Louis, or elsewhere, this is a nationwide concern. 1. How much work does the photographer take on or do they work another job outside of photography? You have to ask if it is possible they book so full you run the risk of not getting a session date in that short window once baby arrives. 2. Does the photographer do birth stories? While it may not seem like a bad thing, and often it is not, your session may get bumped if they are called into a birth. If you are flexible with dates, no worries, but if your husband works as much as mine, finding a date is rather tricky! A reschedule may not be a risk worth taking. Ask the photographer how they handle this situation. 3. How does your photographer ensure your images won't be lost? Image loss can happen to ANYONE, I would venture to say that almost every photographer has had a corrupt or lost card at some point. Those who haven't, count your blessings, it is only a matter of time before it happens. But the question to ask is what steps does your photographer take to minimize this risk? If they have never thought about this and don't have a plan in place you may want to move on, that short window for newborn images does not often allow for major mishaps or reshoots! I should jump in here and mention that while the gold standard for those perfectly posed newborn photos is 1-3 weeks, it is still possible to get stunning images after that point. If you are past this 3 week old window, dont hesitate to book if you really want those images! There have been several times in the past where I get a baby who is older, be it due to a NICU stay, failed attempts at DIY portraits, mishaps with another photographer, or mom just realized as she watched baby change so much in just a few weeks that she really did need those early moments captured. Start thinking about what your needs are when it comes to your newborn session. What style are looking for? Do you want posed images such as those on my website, or are you more of a lifestyle type? What do you feel when you look at the photographers images? If the images are creating feelings and emotions, that is a good sign! You want to feel something! If a strangers baby is making you smile or your eyes start to well up, just imagine how much more emotion you will feel when it is your own baby in that portrait! Would you prefer the session be in studio or in the comfort of your home? Does your photographer provide all the props and outfits for baby? Have you considered what you should wear? If not, or you aren't sure, is this something your photographer can assist you with? Do you have items, maybe a family heirloom or a quilt that grandma made for baby, that your photographer would be willing to incorporate into the photos? Finding a newborn photographer that can or is willing to accommodate everything that is unique to you and your family can be overwhelming at times. Is your photographer willing to sit down with you and listen to your needs and assist you in meeting those needs? Don't take these questions lightly. I hear often from my clients their woes from past experience. Mom regrets what she choose to wear in a younger siblings newborn photos because it wasn't flattering in the images, or just an overall unhappiness with the whole experience. Maybe they got a package of digital files and although it has been years, they never printed their portraits because the idea of printing was overwhelming. Perhaps they did make prints, but the quality or colors were awful so the images were never displayed. Choose a photographer who is willing to meet with you and walk you through the process. Selecting which images to print, and deciding on material, size, and location does not have to be a complicated process! A professional photographer is there to help with this whole process. They will advise and guide you in a seamless manner from the initial consultation all the way to portrait delivery. I assume if you have made it this far in the blog post you at least know one thing for sure: You will be hiring a newborn photographer. Which means, you will need to decide what to do with those images that are created during your session. Start with thinking about your home and your lifestyle, maybe even your childhood. What role did portraits play in your life as a child? How about now? Look around your home, do you have portraits on your walls, or maybe you prefer a box or an album that can be looked through? Maybe you would like to send some portraits to grandparents. Do you plan to send out baby announcements? Are you wanting to share images on social media with family and friends? Talk with your photographer about plans for the images even if you are not sure what you want! A good professional will know how to compose images, design sets, and curate artwork that is perfect for your unique individual needs. Professional photographers will sit down with you and help you through the process of selecting artwork, leaving the guesswork out of it! Price, this seems to be a question a lot of mom's(and dad's! )-to-be ask when they first inquire about booking. I understand for some it is a big factor, but it is not everything and price most certainly should not be the most important factor. You can go with a cheaper photographer, but is that photographer running a legitimate business? Are they covered by insurance and paying their business taxes? Have they completed safety training courses and are they keeping them up to date? 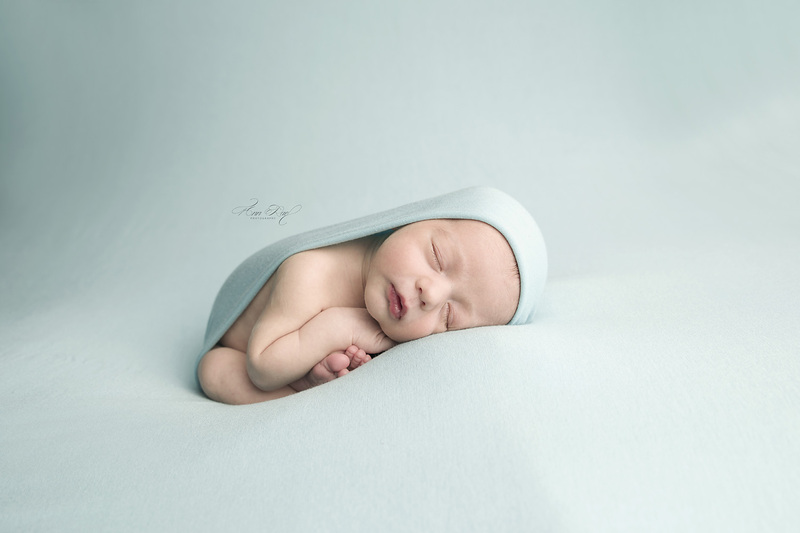 Is this photographer skilled in newborn portraiture? I must say newborns are their own beast and while a photographer may be great at weddings, seniors, or even families, that does not mean they can create stunning images of newborns. Are they able to meet all your needs? Will your photographer walk you through the process and assist you where needed? Are they capable of delivering quality images and artwork? Quality newborn photography is going to be an investment, there isn't a way around this. You can be proactive by planning early and being prepared though. Your baby will only this little once. Think of it as you are saving up for that designer purse or that luxury vacation, the difference is, the heirloom album or museum canvas will be with your family and cherished for generations. That purse will likely be traded in for a newer model in a few years and that vacation will become one of many, soon to be a blur after a while! I hope this blog post was helpful in guiding you in this decision! Just remember, there are no second chances. This stage of life slips by so fast, capture those moments with a photographer you trust can create portraits that you will love for a lifetime! If you are looking for a photographer in St Louis and interested in learning more about me and my artwork, I would love to learn a little about you and your family so we can start this journey together! You are welcome to give me a call 314-368-8919 or go to the contact page and fill out the form so I can get in touch with you! ← A full year of Hudson! Thank you so much for all the info! It is a little longer read than I was planning for tonight but the information is so helpful in navigating who to pick for our portraits! I am going to fill out the contact form, if you still have availability I would love some more information. Our baby is due in March!